The anchorage connectors are built from top quality materials guaranteeing high strength and durability to stand up to the toughest environments. Anchorage connectors are the unsung heroes of most fall protection systems, often overlooked but critical components because they securely attach your system to the anchorage. Your choice of anchor depends on the type of work being done. 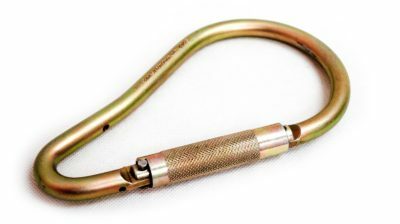 DBI-SALA offers a selection of karabiners that are used as connecting elements for different segments of a personal fall arrest system, suitable for work in most areas of height. Designed for easy operation they provide a safe and secure double or triple action locking system to prevent accidental opening and to minimise the risk of roll-out.